Find out how The Conversation Project is helping families talk about planning ahead for the end of life. In this episode we’ll hear about the work of The Conversation Project from an advisor to the organization, ICU physician Dr. Jessica McCannon. Learn how to utilize this excellent tool to get your own conversations started. You can still sign up for the Death & Afterlife Summit, which takes place March 16-18, 2017. You’ll be able to learn from 10 experts about dying, death and beyond in this series of online interviews–and it’s totally FREE! Go to eoluniversity.com/afterlife to learn more and register. If you’d like some guidance in completing your own advance directives, check out the Step-by-Step Roadmap to End-of-Life Planning–my NEW online self-directed course that will help you prepare and plan for your later years. The Huntsville Hospital in Huntsville AL has started a unique pilot program that places a hospice nurse in the Emergency Department 3 days a week. The RN meets with patients and families and educates them about end-of-life options to help in their decision-making processes. She also helps them complete advance directives and other documents needed for their hospitalization. 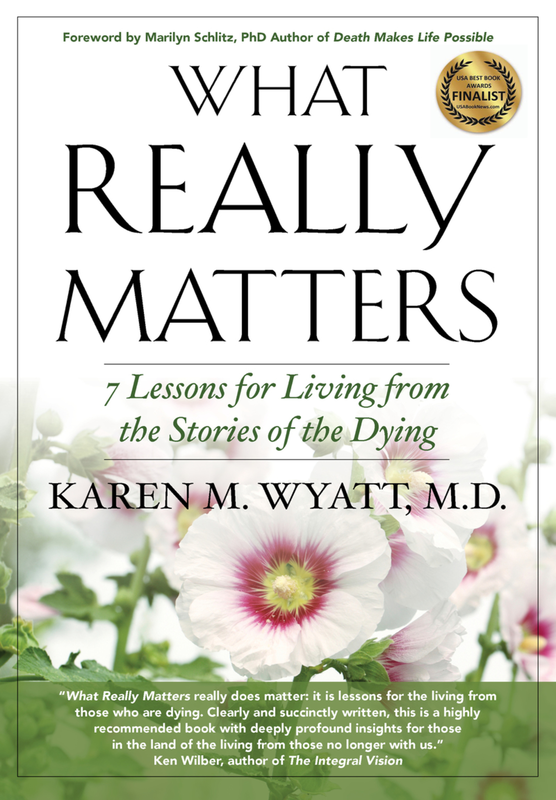 Join Dr. Karen Wyatt and her special guest Dr. Jessica McCannon, ICU physician and advisor to The Conversation Project, a non-profit organization dedicated to helping people talk about their wishes for end-of-life care. They will discuss The Conversation Project, the history and goals of this organization, and how their resources can benefit you, your loved ones or your patients when making plans for the end-of-life. Dr. Jessica McCannon is board-certified in internal medicine, and completed Harvard’s Clinical and Research Fellowship in Pulmonary and Critical Care Medicine. After completing her internal medicine residency training at Massachusetts General Hospital, she began providing care to adults at the Mass General Hospital Down Syndrome Program. Prior to starting medical training she received her BA from Cornell University. Dr. McCannon currently practices clinical medicine as an ICU physician and serves as an advisor to The Conversation Project. Tune in each Monday for a new episode. If you are interested in supporting the podcast and the End-of-Life University Interview Series you can make a small contribution of just $1 or $2 a month and help keep us on the air! Go to Patreon.com/eolu to learn more!